Mirids (Sahbergella singularis and/or Distantiella theobroma) are the major pests of cacao farms in Africa. Cocoa production losses due to these species have been widely documented in West Africa. However, their impact on cocoa production is unknown in Central Africa, especially in Cameroon. 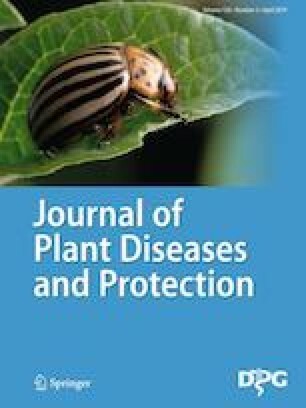 Moreover, no data are available on the threshold level of fruits tolerance to mirid attacks. For these reasons, we assessed the effect of S. singularis on the productivity of ten cacao genotypes as well as the threshold number of the lethal feeding punctures to fruits under a randomized experimental design. Observations were made on three categories of fruits (cherelle, immature and mature/ripe). A control trial was also set up per batch. The overall results showed that 68.0% and 0.4% of fruits aborted, respectively, in mirid and control trials. The percentages of aborted fruits were significantly (p < 5%) different between cacao genotypes and ranged from 20 to 100%. Bonferroni test revealed six homogenous groups for cacao genotypes susceptibility to mirid attacks; SNK52 proved to be most tolerant/resistant, whereas two genotypes (UPA138 and SNK67) revealed more sensitive. In contrast, six genotypes (SNK07, IMC60 × SNK417, T60/887 × PA7, T79/501 × SNK479, UPA143 × ICS84, UPA143 × NA33) displayed similar sensitivity to mirid attacks. ANOVA showed that the threshold tolerance of tested fruits, expressed by the mean numbers of lethal feeding punctures, to S. singularis attacks was comparable between cacao genotypes. This new quantitative database improves our knowledge on the (i) threshold tolerance of fruits to S. singularis attacks and (ii) economic impact of this pest on cocoa production in Cameroon. We thank the Institute of Agricultural Research for Development (IRAD)—Program of stimulating plants for providing financial via the investment public funds and logistic supports. Support from Audrey Valteri VOULA was especially valuable. We also thank the staff of IRAD, Nkoemvone, especially Damien EYENET and Irène NKOTTO for logistic and help for field data collections. The manuscript has never been submitted to another journal for publication (partially or fully) in any other form or language. Our work was funded by the Agricultural Research Institute for Development (IRAD)—Through Stimulating Plants/Plant Protection using the National Public Investment Funds of Cameroon. In addition, our work presents no conflict of interests, both financially and scientifically. All authors agree that paper be published for the benefit of the scientific community and farmers and other stakeholders in the cocoa sector.